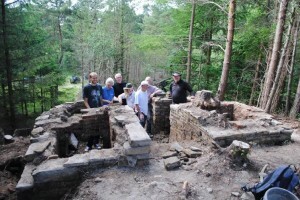 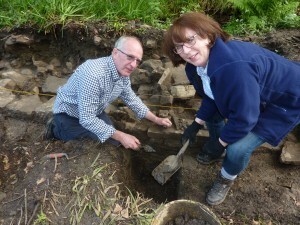 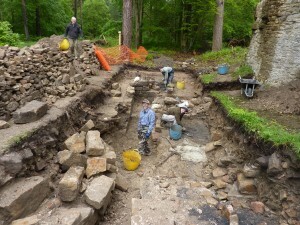 Our archaeology was mostly carried out by 50 or so individual volunteers under supervision of professional archaeologists Richard Carlton and Marc Johnstone from The Archaeological Practice. 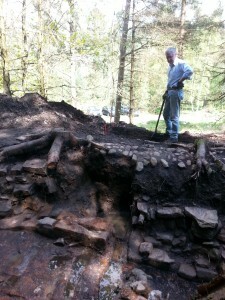 Little did we know back in 2012, when North Pennines AONB’s HLF funded ‘Altogether Archaeology’ programme did some small exploratory trenches, that we’d find such a wealth of archaeology beneath the anthills and pine needles. 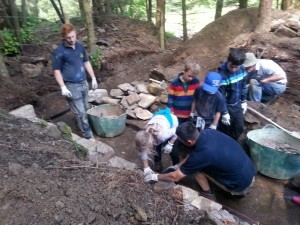 We only planned two digs, but the enthusiasm of the 50 or so volunteers and the professional archaeologists Richard Carlton and Marc Johnstone from The Archaeological Practice was difficult to stop! 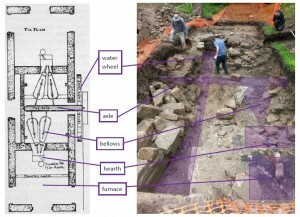 They excavated the flues across the top of the Arches (prior to the consolidation works), the mill race (see Appendix 1 written by the unstoppable volunteer Pete Lee), the footings of a range of buildings to the east (still a mystery) and uncovered a huge waterwheel pit and the smelting hearths. 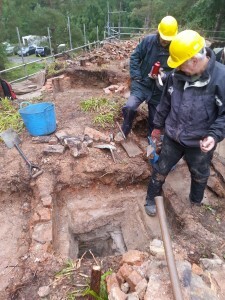 The more they dug, the more chimney emerged! 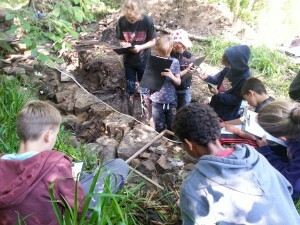 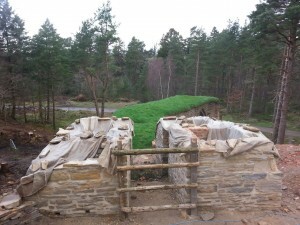 the mill race: sluices, channels, cobbles and hearthstones – what a puzzle! 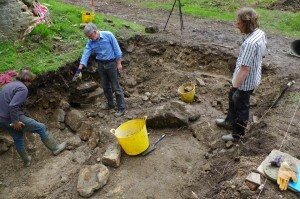 We think its something like this… but see the report for more accurate conjecture!